Dealspotr is the world's largest and most reliable database of promo codes and deals online. We're the leading shopping social network serving brands, influencers, and consumers. How Cheap Jet Really Is? Launched in July 2015, Jet.com quickly became the most popular online startup that’s taking on every company that sells anything online, including Amazon. Their original business model was based on the idea that by pulling costs out of processing, distribution and shipping, they would have 10%-15% cheaper prices compared to Amazon, Walmart, Costco and every major e-retailer. And the only thing customers would have to do is pay annual $50 membership fees. However, just as the three-month free membership period was about to expire, Jet CEO Marc Lore announced that Jet is abandoning membership fees. According to Marc, the company discovered that people hate the idea of paying a membership and that 4%-5% discount was enough for shoppers. So today, Jet.com is the cheapest e-retailer on the market, offering amazing prices without any membership cost. It offers 2-day delivery on thousands of items and free shipping for purchase over $35. With 24-hour online support, you really have nothing to complain about. Apart from its lower prices compared to other retailers, Jet offers many ways for customers to save even more money. Prices drop as you add more items to your cart. Simply put, the more you order, the more you save. The reason behind this cut in price is simple – shipping is the biggest cost in an e-commerce transaction. Retailers that offer free shipping already include the cost of shipping in their price. However, if you are buying more items that are coming from the Jet warehouse and going to the same address, then the cost to ship an additional item becomes smaller. So for example, if you already have washing detergent and toothpaste in a box, it doesn’t cost much to add diapers as well (in terms of shipping). And as the shipping price is significantly lower, the price of the item becomes lower, saving you more money. So the more you buy, the more money you’ll save. Any order of $35 or more qualifies for free shipping. Moreover, you are able to use Jet coupons that bring the total price below $35 and still get free shipping – as long as the original price was at $35 or more before coupons. Purchasing Smart Items saves you the most money. Their price drops as you add them to your cart as they come from the same Jet warehouse as the items you already have in your cart. You can filter your search to only see Smart Items on their website. According to CNBC, American consumers returned $284 billion worth of merchandise in the previous year. Therefore, it comes as no surprise that restocking and processing the returned products costs e-retailers a lot of money. And as the retailers can’t afford to lose money, they simply add a fraction of that cost on the original price of an item. 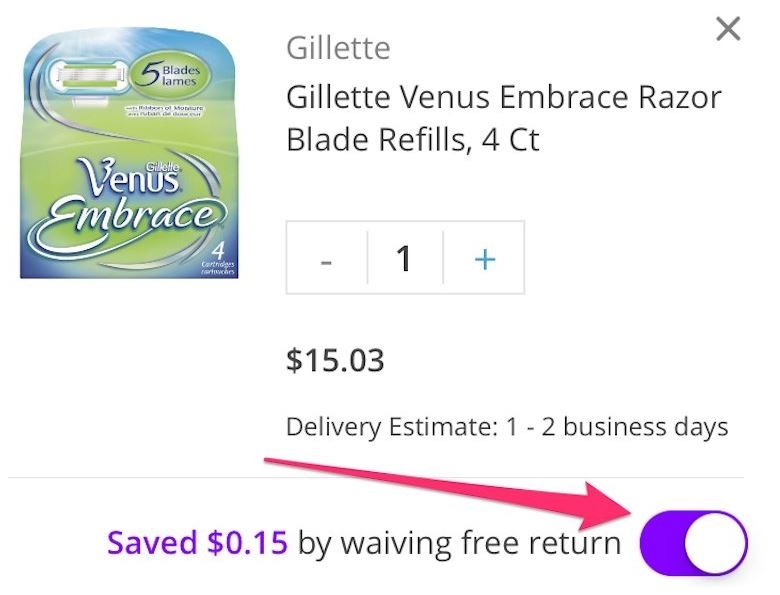 Just as the most e-retailers, Jet.com offers a free 30-day return policy as well. However, Jet gives you an option to waive your right for a refund and save a few cents on each product. 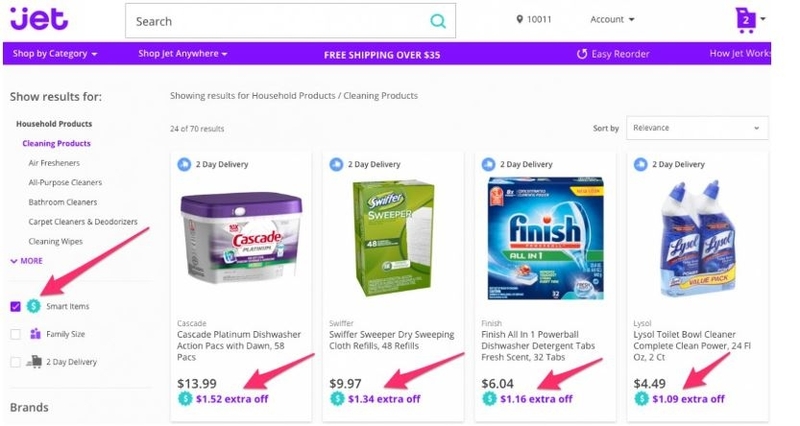 By doing an experiment and adding 20 products to the shopping cart, we can notice that the price drops from $0.01 to $0.40 (it’s usually about 2% of the retail price) per item. And although this is not much, by adding multiple items the savings quickly add up and you can save a few dollars. 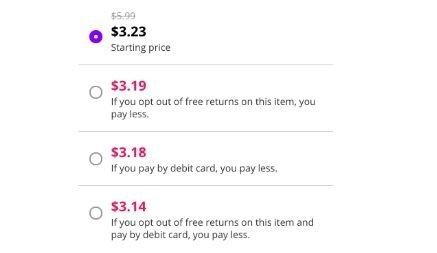 Therefore, if you want to purchase something you know you won’t return, select the option to waive free returns and the price will drop instantly. If for any reason, you still want to return the product after you have waived the right for free returns, you’ll be charged with the so-called Waiver’s Remorse Fee and will get your money back. All retailers pay fees to credit card companies for using their credit cards. To avoid these fees and save an additional 1.5% on your purchase you should pay using a debit card. Jet coupons and promo codes can save you a lot of money. And since our website is famous for discounts and coupons, you can find a wide range of Jet Coupons and Jet Promo Codes as well. So for example, currently you can find 15% off + free 2-day shipping on all products, 10% off your next 6 pet product orders, 20% off first fresh groceries order over $75, 20% off kitchen essentials, etc. To see all Jet Coupons and Jet Promo Codes click here. Jet warehouse is a wholesale online store that offers bulk sizes of items you love. So if you like bulk shopping, then Jet Warehouse should be your number one choice. Jet coupons and free shipping apply here as well. To determine whether or not Jet really is the cheapest e-retailer on the market, we decided to compare it with some of the biggest names in the retail industry. Despite the fact that Amazon offers great prices, a wide range of products, an exceptional customer service and overall amazing shopping experience, our casual shopping experiment showed that Jet can undercut Amazon by far more than 5%. In addition, when we calculate Jet discounts for multiple items, waive free returns and debit card options, the difference in price becomes significant. In fact, you can save several hundred dollars by switching to Jet. With that being said, Amazon is still better in terms of convenience, customer service, selection and shopping experience. When we talk about cheap prices, we simply have to mention Costco and see how Jet compares to them as well. First of all, the biggest difference between these two retailers is the membership cost. While everyone can shop at Jet for free, you have to pay at least $55 per year (the cheapest membership) to purchase items from Costco. And when you compare the prices of everyday items such as toilet paper, dish soap, toothpaste, cereal and diapers, you’ll notice that they are almost identical. However, Jet is the clear winner in terms of pricing as it offers discounts for multiple items and debit card and waive free options, which you won’t find at Costco. Another important thing to note is that Jet has a wider selection of brands. Although Jet started as a fierce competitor to all retailers, including Walmart, today they are not “fighting” against each other. Instead, they have combined their forces with a mission to become the number one online retailer and “take down” the e-commerce king Amazon. On August 2016, Walmart took the biggest step to battle Amazon for the supremacy in the realm on online retail and confirmed $3.3B Jet.com acquisition. 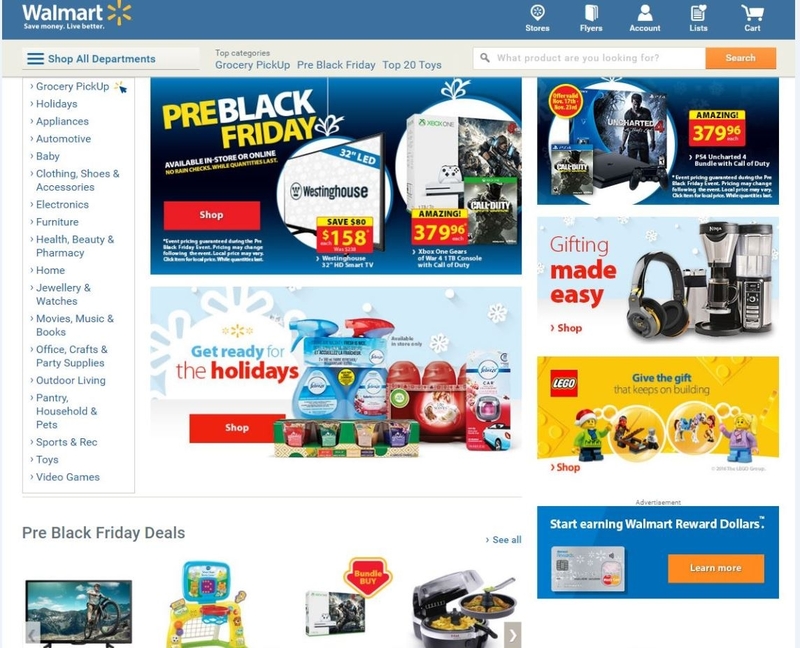 Jet’s co-founder and CEO Marc Lore will run Jet and Walmart’s e-commerce business. This combines a physical retail giant and a highly ambitious e-commerce startup with a huge potential. Both companies will maintain their own brands but combine their innovative technology solution to develop better deals for customers. 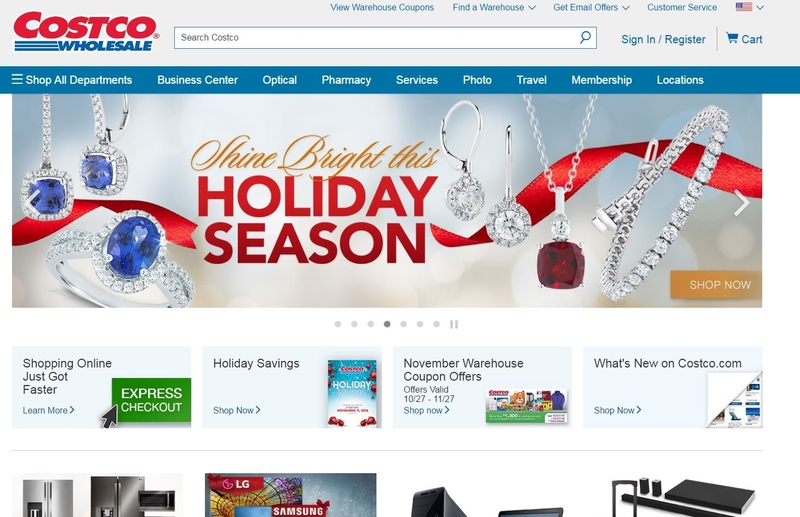 This merge could help Walmart become the second largest online retailer. But what does that mean to the average customer? Well, you can expect that Walmart will soon start using similar payment models like Jet and will offer significantly more products at a cheaper price. In the meantime, you can enjoy Jet’s low prices and take advantage of their customer-oriented business model, offering amazing deals that help you save a lot of money. Jet.com may never replace Amazon, but by consistently offering 5% + cheaper prices, it is definitely becoming a huge player in the e-retailer business. By merging with Walmart, Jet gained all the resources to take the business to the next level. What will they offer in the future and how they’ll operate remains the mystery; but currently, Jet.com is the cheapest e-retailer on the market, offering amazing benefits to their customers. Therefore, if you are looking for a way to save money, then you should start shopping at Jet.com. If you like purchasing in bulk, then check out Jet warehouse, but don’t forget to acquire Jet Coupons and Jet Promo Codes to cut the price below anyone’s expectations. This guide was published on November 22, 2016, and last modified on November 22, 2016.